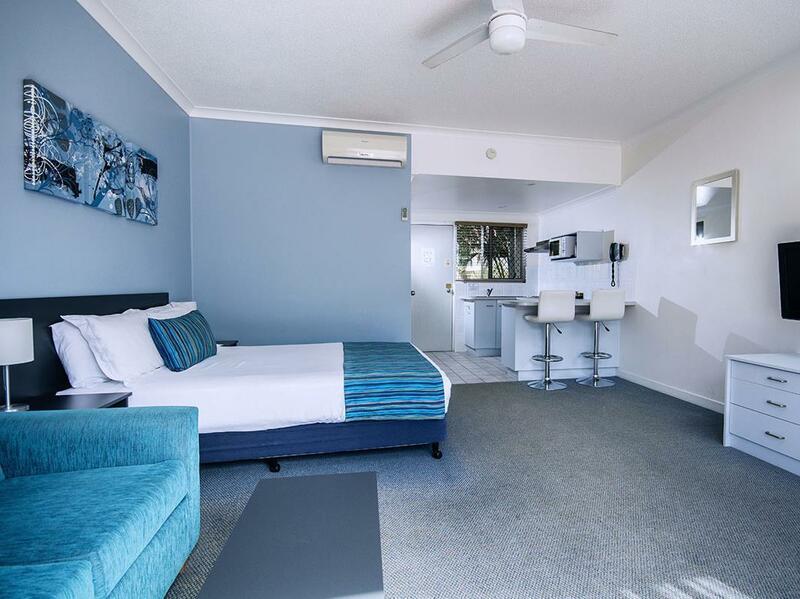 يحظى فندق The Beach Motel Hervey Bay بمكان متميز في محور المدينة والاستمتاع بـ شواطئ, سياحة في هذه المنطقة الفاتنة. يسهل الوصول إلى هذا الفندق ذو 3.5 نجوم من المطار، فهو يبعد عنه مسافة 5 km فقط. كما يمكن الوصول بسهولة إلى عدة معالم سياحية قريبة. 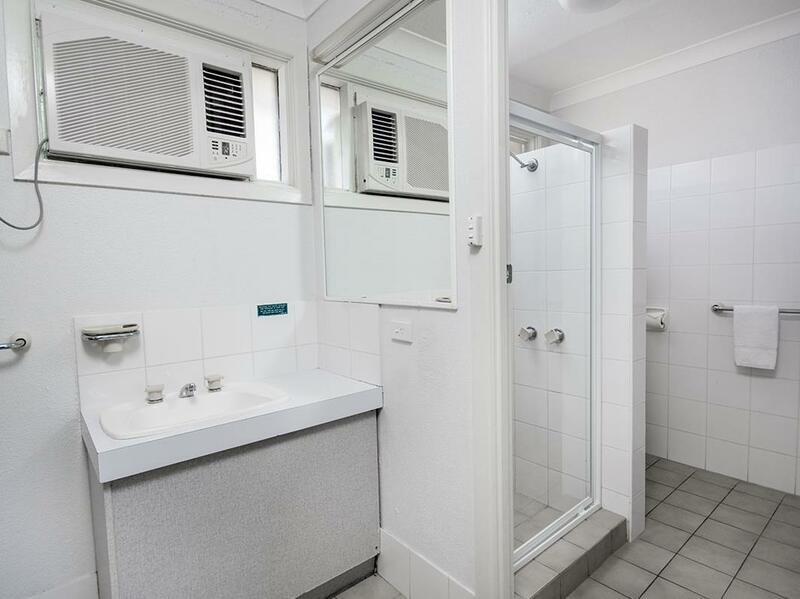 إن The Beach Motel Hervey Bay حريص على توفير الراحة للنزلاء، فلا يوفر الموظفون جهداً في تقديم أفضل الخدمات وضمان حسن الاستقبال. يمكن الاستمتاع بمجموعة من الخدمات على أعلى المستويات في الفندق كمثل واي فاي مجاني في جميع الغرف, مرافق مخصصة لذوي الاحتياجات الخاصة, تسجيل وصول/خروج سريع, تخزين الأمتعة, واي فاي في المناطق العامة. ادخل إلى واحدة من الغرف 68 وتخلص من عناء نهار طويل بمساعدة مجموعة كبيرة من الخدمات كمثل تلفزيون بشاشة مسطحة, بياضات, مناشف, اتصال لاسلكي بشبكة الإنترنت (مجاني), حوض الاسترخاء الموجودة في بعض الغرف. كما أن مجموعة الخدمات الواسعة الموجودة في الفندق لضمان راحتك تترك لك الكثير من الخيارات لقضاء وقتك أثناء فترة إقامتك. إن The Beach Motel Hervey Bay هو مكان مثالي للمسافرين الذين يتطلعون إلى الراحة والاستجمام في المدينة. 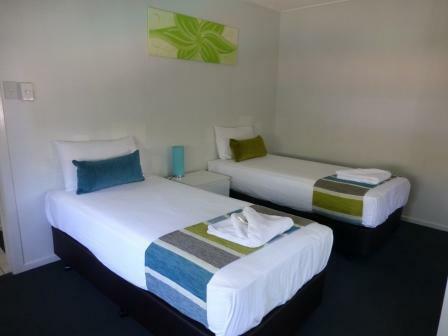 This was our second stay at the Beach Motel in Hervey Bay. We were warmly welcomed back by very professional and courteous staff. Both check-in and check-out were smooth and very fast. We were able to stay in the same room we had been in last year. The room was just as lovely, the aircon nice and cold, and although we only stayed one night, my son had a relaxing early-morning swim before we checked out. The location is excellent, with loads of facilities, shops, attractions, (beach, parks, etc.) and places to eat nearby. 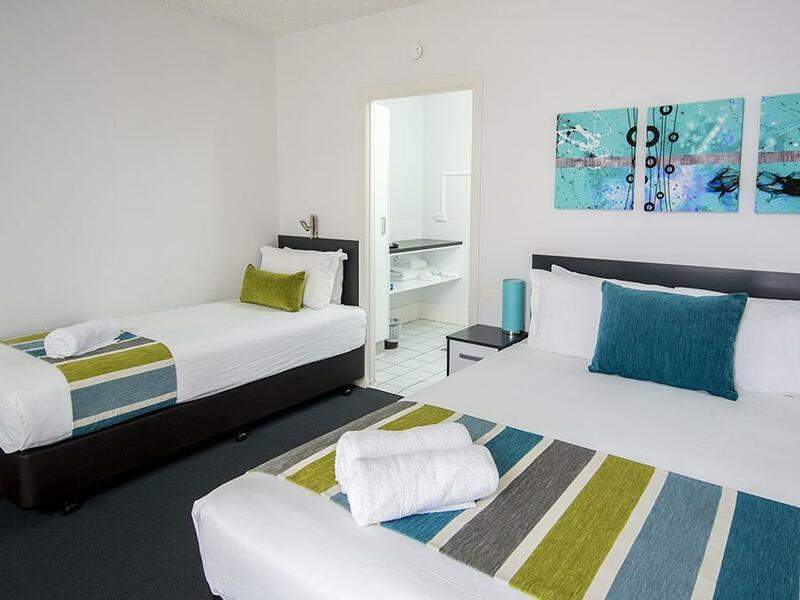 When we return to Hervey Bay for another overnight stay, we wouldn't hesitate to book with The Beach Motel again. Thank you! The hotel was cosy and clean. The staff were all friendly and the hotel had a really nice pool. Nothing was too far away. We booked a budget room, which was very basic, so upgraded to a spa unit when we arrived as it wasn't that much more expensive, and it was spacious and clean with cooking facilities and a spa bath (obviously!). Very good location with lots of wonderful restaurants within about a 20 minute walk. Location was ideal. Straight across the road from the beach. It was walking distance to cafes and restaurants. Very neat and tidy. The rooms are serviced daily. Spacious rooms. Staff were friendly and welcoming. Cheap and affordable rates. Good location. Not much of a view but there is a balcony looking out onto the street which wasn't that pleasant. Facilities were nice & had parking near your room. Staff were friendly & rooms were cleaned every day. 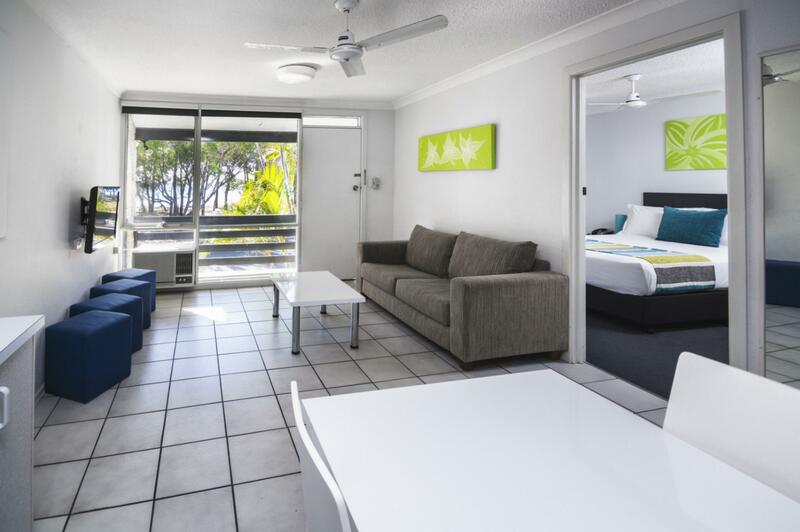 We enjoyed our stay and it was exactly what we needed for our stay in Hervey Bay. Our young family had enough space to relax and not be on top of each other. The location across the beach was wonderful and convienent! Excellent from start to finish. Friendly Efficient Staff, Great pool & BBQ area, directly opposite a beautiful beach on the quieter end of the esplanade yet still close to all the action. Highly recommended to all travellers. 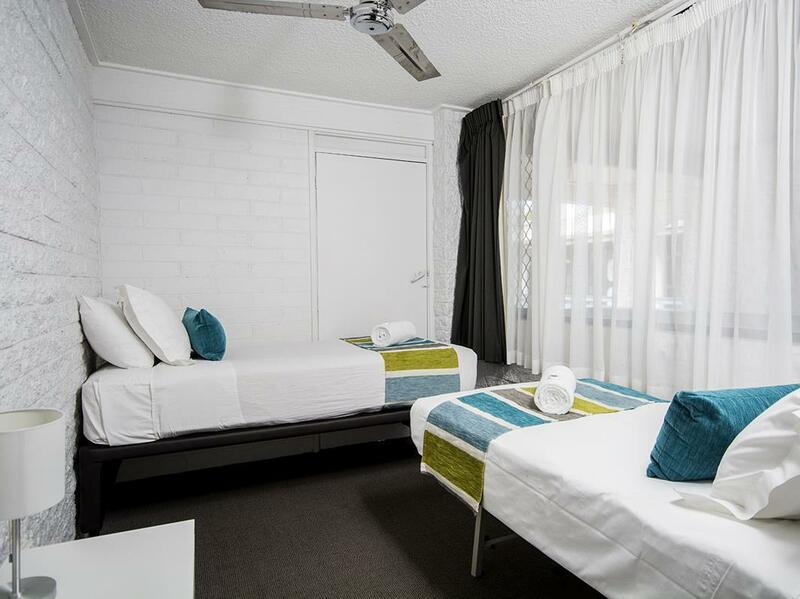 Rooms were very clean, staff very helpful, good location. Great motel in perfect location! Clean rooms and friendly staff! Would definitely recommend ! See you soon!! Had a pleasant stay and really enjoyed the pool area. internet booking, for 24th & 25th 8/14,arrive 6-630pm 24th. recption closed???. had to ring a #,no phone, asked another guest to do this,+insert a code in a deposit box at ground levl to obtain key, semi dark.we are retired couple 80+, with disabilites. we have never struck any thing like this in all our travels. Resort needs work pool area is tired, gardens need revamping wifi is no good for business people. Close to beach and restaurants, Pleasant staff, Good value. Pleasant stay. Quiet and clean. Comfortable bed.